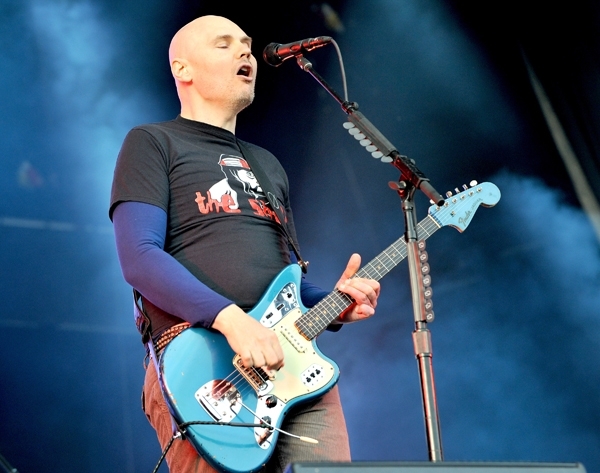 The Smashing Pumpkins Announce Expansive Live Set 'Oceania: Live in NYC' - Rock Fuel Media Inc.
Alt-rock icons the Smashing Pumpkins have announced their new live package Oceania: Live in NYC, which will be released by Universal Music Enterprises on September 3rd. The set, which captures the band’s acclaimed 2012 performance at Barclays Center in Brooklyn, will be available in a variety of formats: a standard DVD, a 3D Blu-Ray DVD and a deluxe version that includes a 2CD/DVD set and a digital copy. In addition to the full concert (which features a performance of the band’s most recent album, Oceania, in full), the DVD and Blu-Ray versions include a photo gallery, 5.1 stereo audio and interviews with lighting director/stage producer Sean Evans. This performance was a special one for the Pumpkins: The band had originally scheduled their Brooklyn gig for Halloween but were forced to reschedule in the aftermath of Hurricane Sandy. The band has been staying busy following the release of Oceania. Billy Corgan tweeted earlier this year that he’s already begun writing a follow-up album, and in the meantime, the Pumpkins are continuing their current world tour, which concludes August 17th at the Good Vibes Festival in Malaysia.